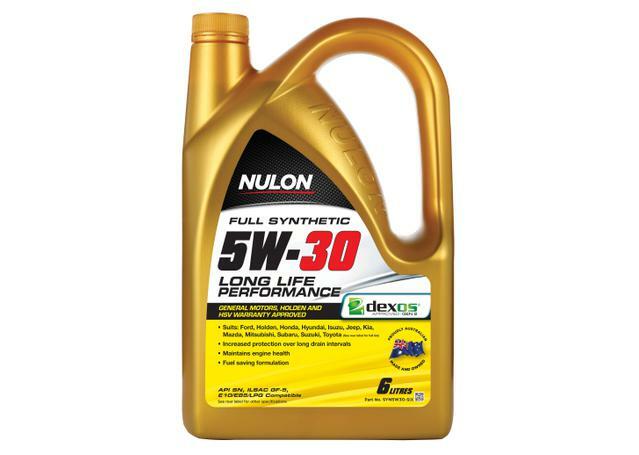 Nulon Full Synthetic 5W-30 Long Life Engine Oil provides the maximum protection and performance from cold start-up to high operating temperatures. 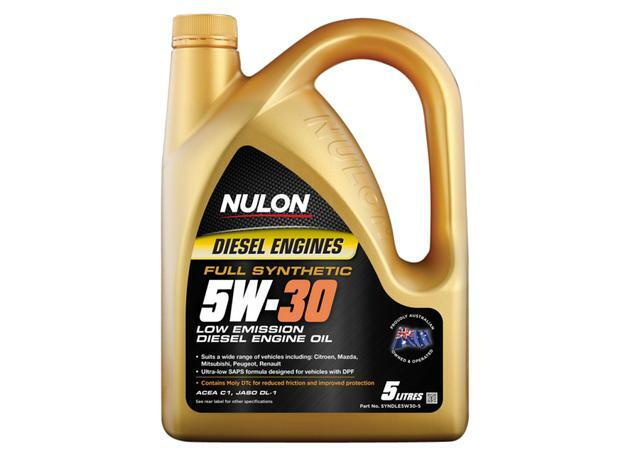 The energy conserving, low viscosity formula ensures optimum engine performance for all technically advanced and performance passenger car petrol engines. The ILSAC GF-5 energy conserving formulation delivers improved fuel economy and engine protection. Additional anti-wear additives provide maximum performance and protection to engine and turbocharger components, while enhanced corrosion protection provides bio-fuel compatibility for vehicles using E10 and E85 fuels. Meets Holden and HSV warranty requirements where dexos1® 5W-30 is specified. 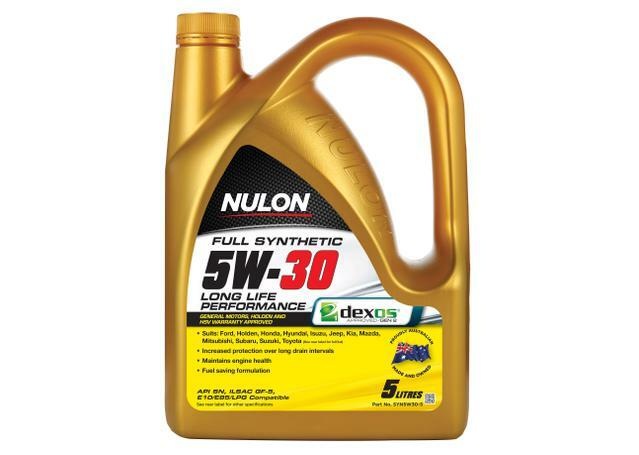 Oil stays cleaner and in-spec for longer. Energy and fuel conserving formula. 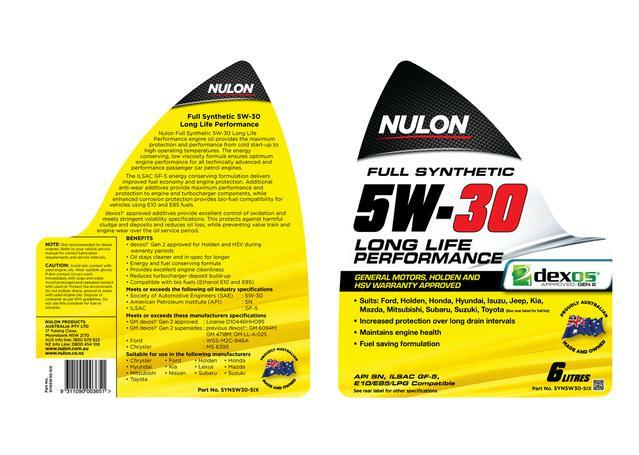 Provides excellent engine cleanliness.<br />Compatible with bio fuels E10 and E85.